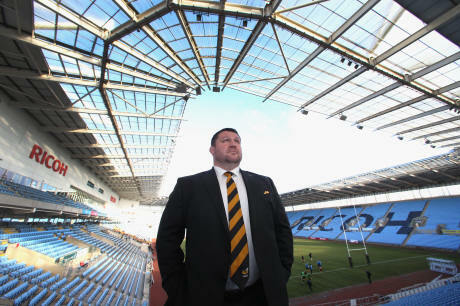 RUGBY UNION: THERE is no place like home for Wasps since their move to the Ricoh Arena after Dai Young’s men came from behind to beat Northampton Saints to record a 17th consecutive home victory in all competitions. Wasps put their European Champions Cup exit in Dublin behind them and restored their five point lead at the top of the Aviva Premiership thanks to a last-gasp 32-30 victory on Sunday. Northampton had looked like coming away with a surprise win after twice leading at half-time and with 12 minutes remaining. But Matt Mullan crossed the white line in extra time and Jimmy Gopperth kept his cool to slot home the conversion to earn Wasps a 15th league win of the season. “We know how important it is for us to get a home semi final – if we don’t get it and we have to go away, we know we will be making it more difficult for ourselves. “I just want to say another big thank you to our Wasps fans, who again got behind us right until the final whistle. “They didn’t lose faith, just like the players never stopped believing they would win that game. We really appreciate that positivity and the backing they give us throughout a match, whether we are ahead or behind. Wasps conceded five tries against a strong Northampton side, but Young was quick to point out that a lot of those tries came from offensive mistakes and responsibility should be taken as a collective. He added: “Obviously there are concerns about our defence, we are leaking too many tries, but we are top of the league so we are doing plenty right! “If you look at the origin of a lot of those tries, it has come from our attack. When we are too loose and don’t respect the ball enough, we put a lot of pressure on our defence. “It’s a collective thing, its not just about when they have the ball and us fronting up in defence. We cause a lot of the problems ourselves. It’s certainly not our focus to try and outscore teams in these crazy games, we want to be a bit tighter in defence.